PST Cylinders LLC in Kronenwetter, Wisconsin, specializes in natural gas and the high-pressure steel cylinders it is stored in for use as a fuel in vehicles. More than a century of manufacturing experience and relationships with two leading suppliers of CNG cylinders means savings for you during the transition to compressed natural gas in your fleet. Fleets of all sizes are converting, and we can help you do it to with our safe, low-cost steel cylinders. We deliver the highest quality cylinders through a recognized industry innovator of Type 2 cylinders, and our exclusive North American distributor. We also work with an award-winning, international ISO 9001:2015 manufacturer of safe, quality, low cost Type 1 cylinders. By switching your vehicles to natural gas, you can save a great deal of money on fuel while doing something good for the environment. 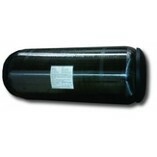 Count on PST Cylinders LLC to help you make the conversion more affordable. Contact us to learn more about natural gas and the specialized steel cylinders used to store it.